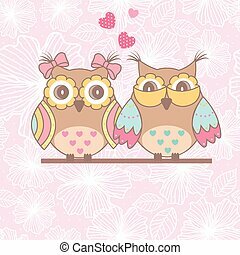 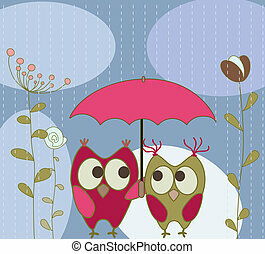 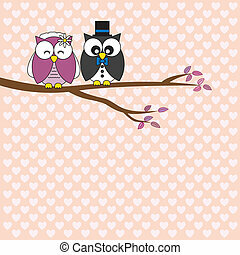 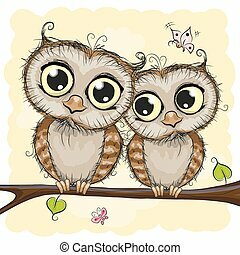 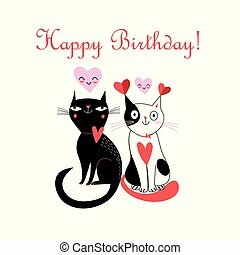 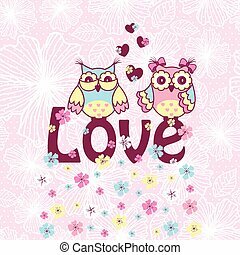 Bright greeting card with owls in love on white background. 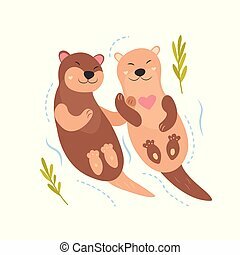 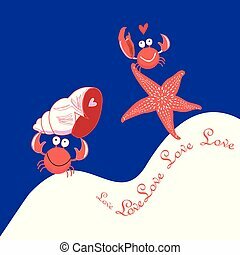 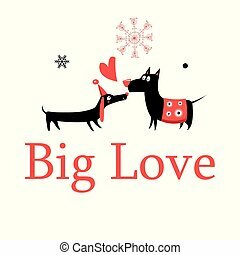 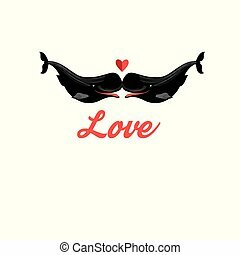 Bright card with cute otters in love. 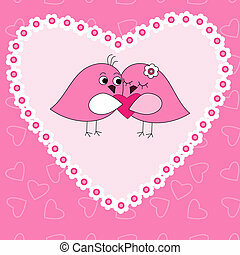 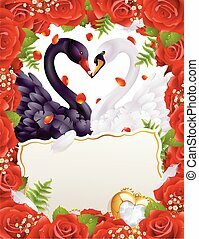 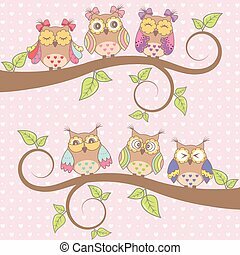 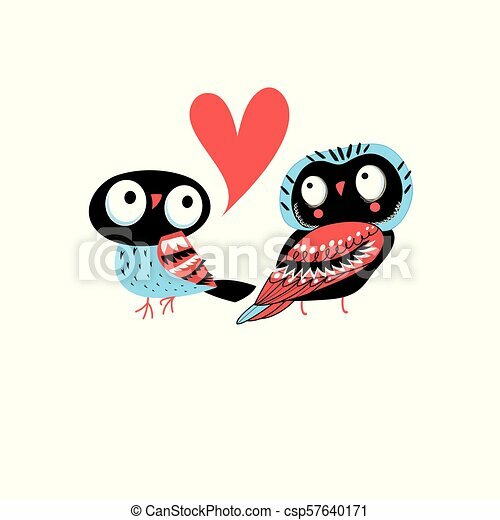 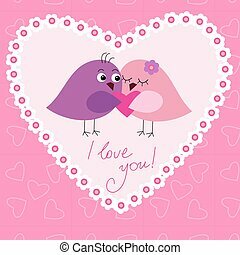 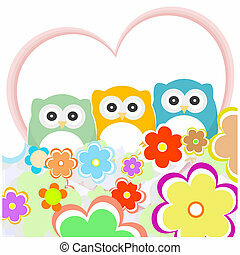 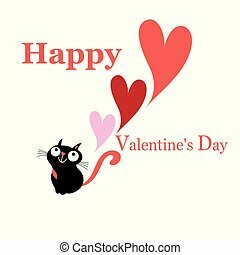 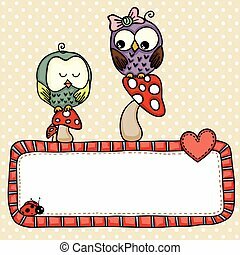 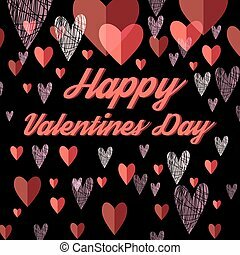 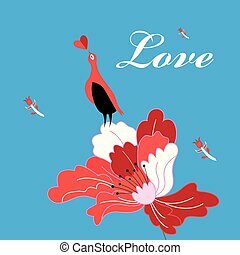 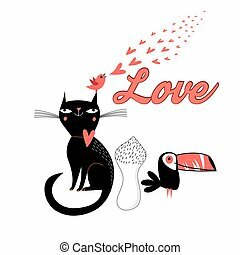 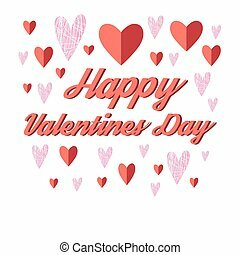 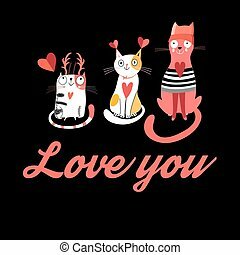 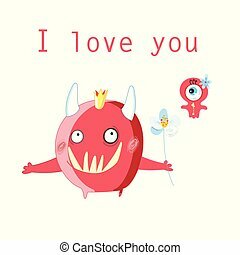 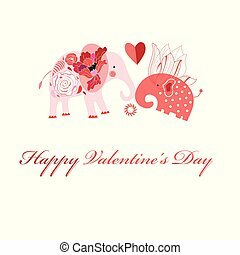 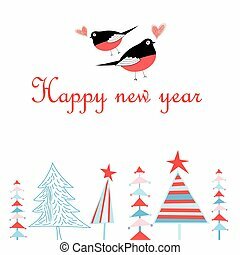 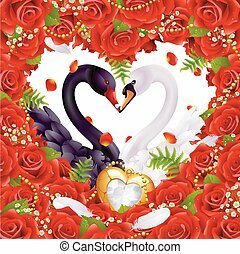 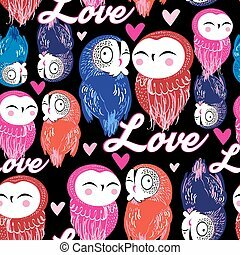 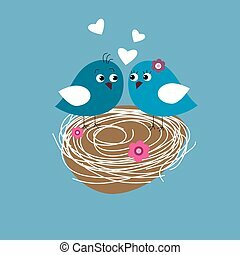 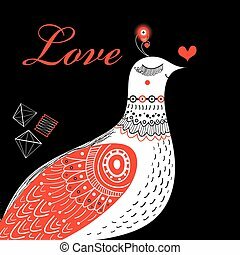 Scalable vectorial image representing a greeting postcard with cute owls in love, isolated on white.